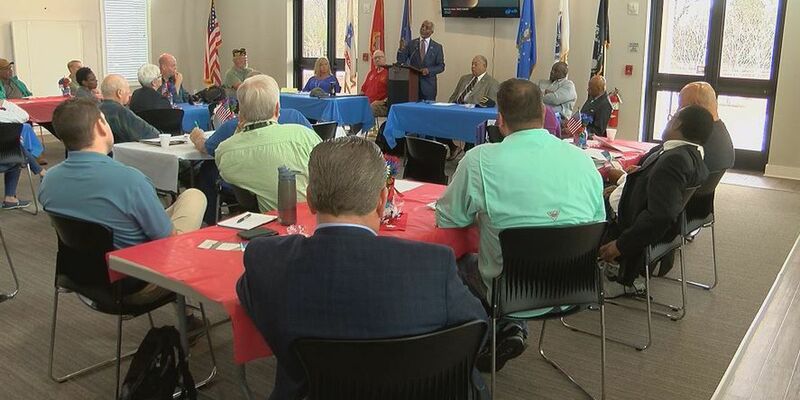 FLORENCE COUNTY, SC (WMBF) - The Pee Dee Area Veterans Advisory Council held a forum on the opioid epidemic Tuesday morning. "We have to educate our veterans population," Rick Walden, with the Pee Dee Area Veterans Advisory Council, said. "We got to start in the communities one by one by one, and get the word out that there is help. You don't need to become addicted to the drugs that you are one." Among those who attended were Bo and Pat White. "My husband has had three strokes and because of that he has something called peripheral neuropathy," Pat White said. "It's progressed up to his hips, which means that he can't walk." To help manage the chronic pain caused by Bo's condition, he was given opioids. For fear of becoming addicted, White and her husband came to the program to find alternative ways to control Bo's pain, which is something White says hasn't been easy to do. "They're very supportive on trying to get him off of it, but we've been very limited on what he can and cannot take because of his strokes," White said. According to the South Carolina Department of Health and Environmental Control, in 2016, 550 deaths occurred in South Carolina from prescription opioid overdose, which is an 18 percent increase since 2014. Guest speaker and South Carolina Rep. Terry Alexander serves on the statewide opioids committee. He said programs like this allow veterans like Bo to have a voice. "If you allow a person to say what he or she feels, you may not be able to get it resolved, but they will feel better knowing someone is listening," Alexander said. But it's not only the veterans who should be aware. White believes it's physicians and caregivers like herself that should stay informed so veterans like her husband can have the chance to live again. "There are people there and caregivers that need to know about all of this because they don't want to be addicted. They just want a quality of life," White said.